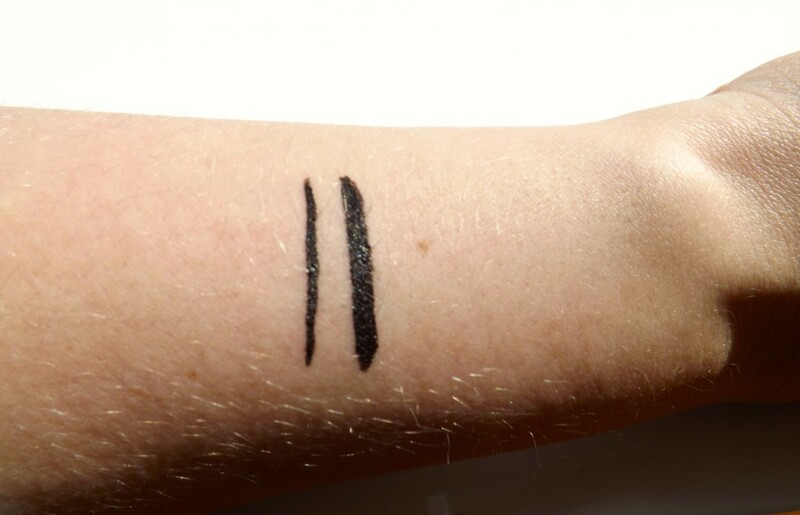 Many of you will have heard of the Topshop Magic Liner that has been hitting the shelves recently and the hype that has gone with it. I was recently in Topshop in the make-up section, rummaging around for something fun to buy when I stumbled across the Magic Liner. I’m not the best at putting liner on, which I think it due to the fact that I’m not patient enough to sit and take me time applying it and then sit and wait for it to dry. This was my life saver! I bought the Magic Liner in the colour Engraved which is just a dark black, I always want to experiment with different colours but never have the guts to actually put them on and leave the house. As you can see from the photo above the nib of the pen is like a felt tip, these are my favourite type of liquid eye-liner to use because it allows me to get a straight line. 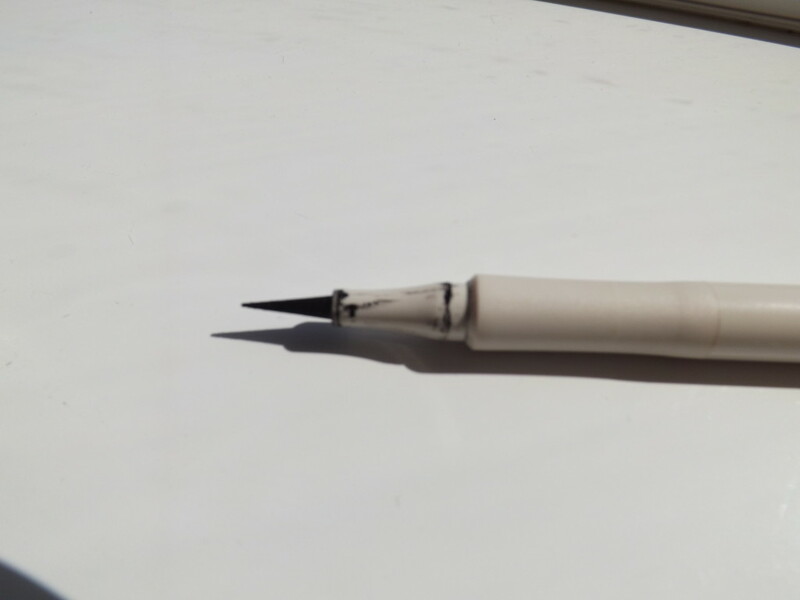 With this Magic Liner i found that as the tip of the liner is so thin it makes it very easy to guide and doesn’t seem to stick to my lid as some have in the past. The liner also has a rough patch near the end of the liner which helps you to grip onto the packaging making sure that it doesn’t slip when you are applying it. I really like the packaging of all the Topshop make-up just because I think it is nice and simple and the cream colour makes it look a little bit more classy and different rather than the normal, plain black that most packaging are. One thing that I wasn’t a fan of with this liner is that when you put on the lid it seems to get the product all over the lid and the sides of the packaging, which isn’t a huge problem but as I have a slight problem with things being clean and perfect it does bother me. But I know some of you will be sat there thinking she has problems, whilst other are probably agreeing with me! Ahh! Hairy arms! I am well aware that this isn’t the most flattering photo for my arms but it will do! One of the other reasons why I love this liner is purely the fact that I find it so easy to do both a thin and thick line with it. With most liners i have tried in the past i can either achieve a thick line or a thin line, but for some magical reason I can easily do both. Hahah, did you get it ‘magical’ its a Magic Liner! I know I’m not a comedian but you’ve gotta have a bit of fun! If i was asked to choose one eye-liner, and it was the only one that I could buy and use it would definitely be this Topshop Magic Liner. The only fault I with this is so small that it doesn’t really bother me too much. This really is a Magic eye-liner.